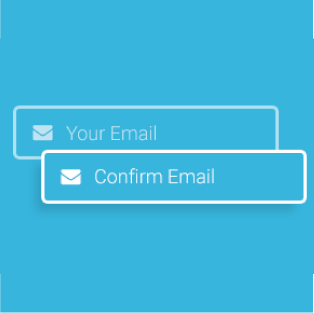 Email Confirmation Field Add-on is meant to check if the email address entered matches the first one, making sure a user submits a valid and correct email address. First of all, click on the button below to download the add-on. Once downloaded, you can install the add-on as a normal WordPress plugin, by uploading the .zip file in your WordPress Admin -> Plugins -> Add New -> Upload Plugin. 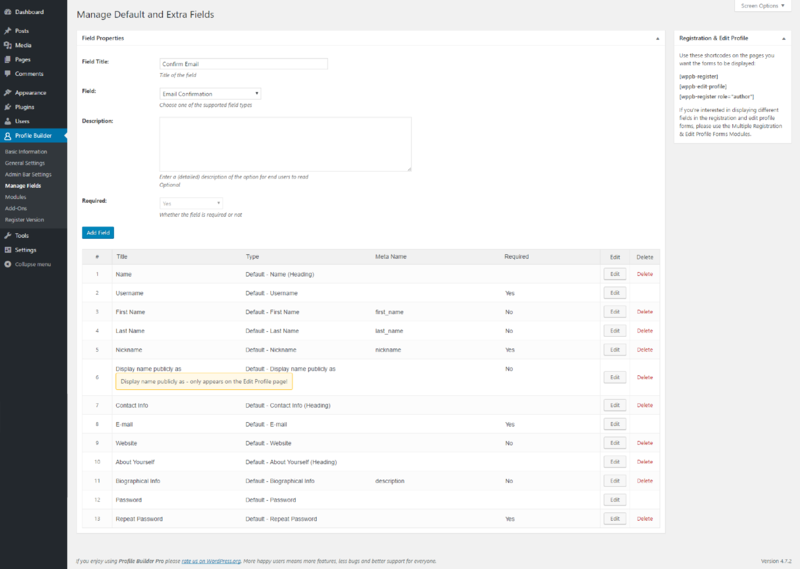 Alternatively, you can install the Email Confirmation Field Add-On by extracting the folder found inside the archive and uploading the entire folder via FTP to your /wp-content/plugins folder found inside your WordPress install. 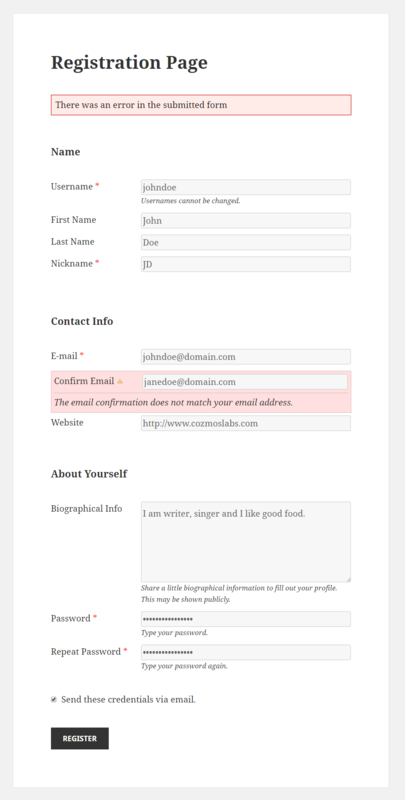 For Email Confirmation Field Add-On to work as expected, you’ll also need to have at least Profile Builder version 2.0.6 or higher. 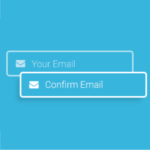 Once the add-on is installed, the Email Confirmation field type will show up in the Manage Fields drop-down from Profile Builder. Select it and click “Add Field”. By adding this field to the Manage Fields list, it will show up on the Front End user Registration form created with Profile Builder. The Email Confirmation field is “Required” by default, and will throw an error every time the two email addresses do not match.